This attractive, 13-story building was erected in 1915 and converted to a cooperative in 1981. It has 63 apartments. The dark beige-brick building has a canopied entrance with wood doors and a concierge. The building's facades are embellished with pilasters at the top and base and the building has a small cornice. It has a one-story rusticated limestone base and permits protruding air-conditioners and has consistent fenestration. 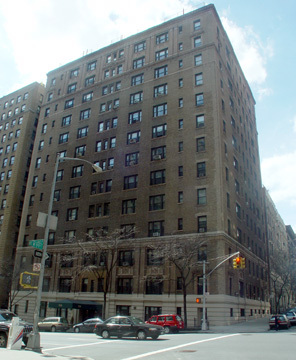 One block away from Riverside Park, the building is also close to a local subway station and cross-town bus service at 96th Street and Broadway. Very good neighborhood shopping is nearby and steadily improving as high-end retailers continue to advance up Broadway.